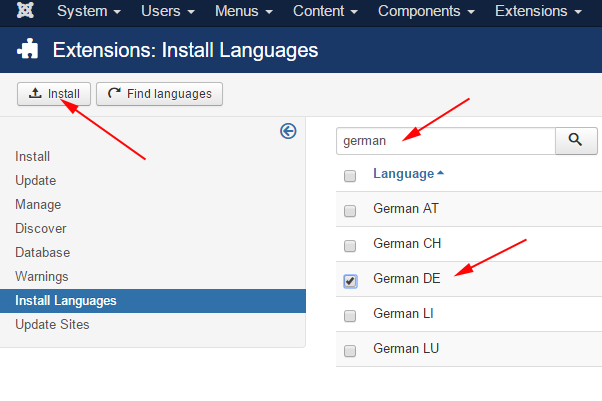 By default, Joomla comes with a single language package for the backend and frontend. The language is defined during the installation process. Extensions > Languages > Installed. Click the “Install languages” button. Check language from the list . Click on the start icon of the new language. The new language in frontend will change. Click on the star icon for the new language. The new language will be applied to the backend.